The white hibiscus in my garden are gorgeous when the sunlight shines through the petals. You've really captured this Hibiscus beautifully Janel. Great job. Hi Maree, Thanks so much for your comment. 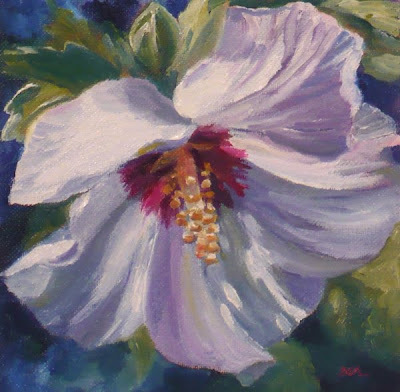 I have painted hibiscus often in watercolor, but they are beautiful in oils as well!